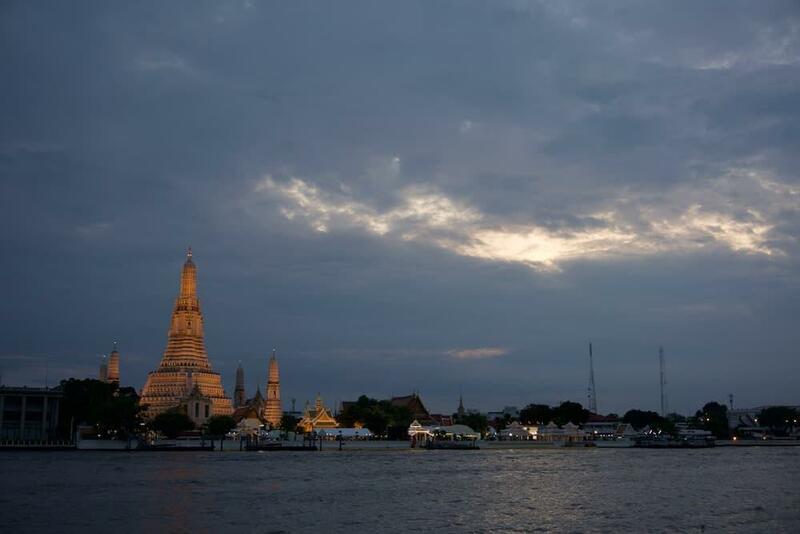 Wat Arun at sunset must be the best sunset in Bangkok. 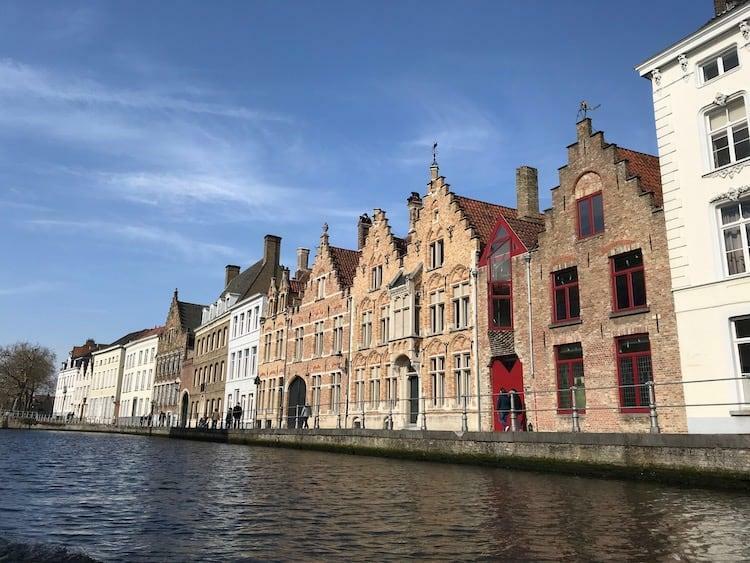 It is a stunning place to visit during the day. 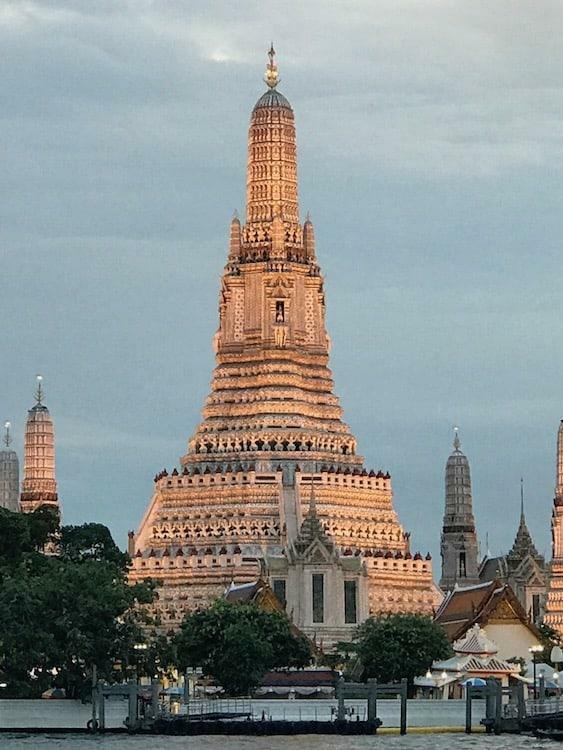 In fact I think it might actually be the most beautiful place in Bangkok. 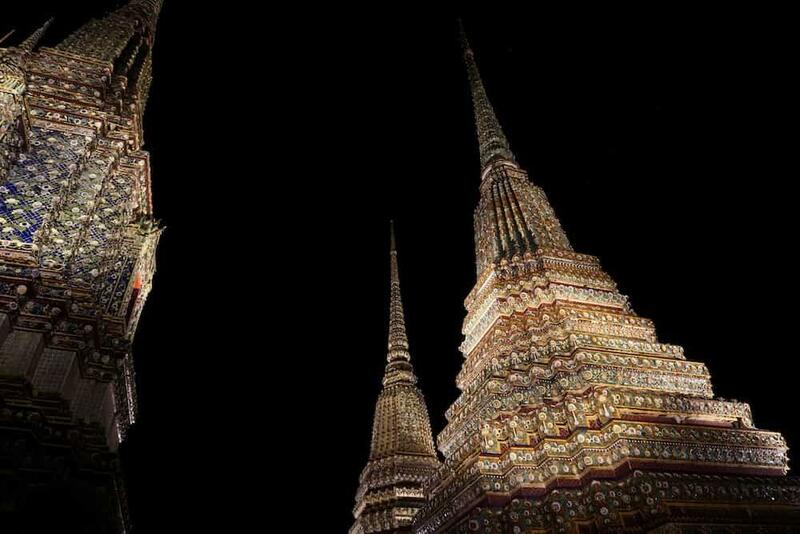 But its light colours, and the millions of broken seashell pieces and porcelain that decorate the prangs, make for photos that look even better in the orange glow of a Bangkok sunset. 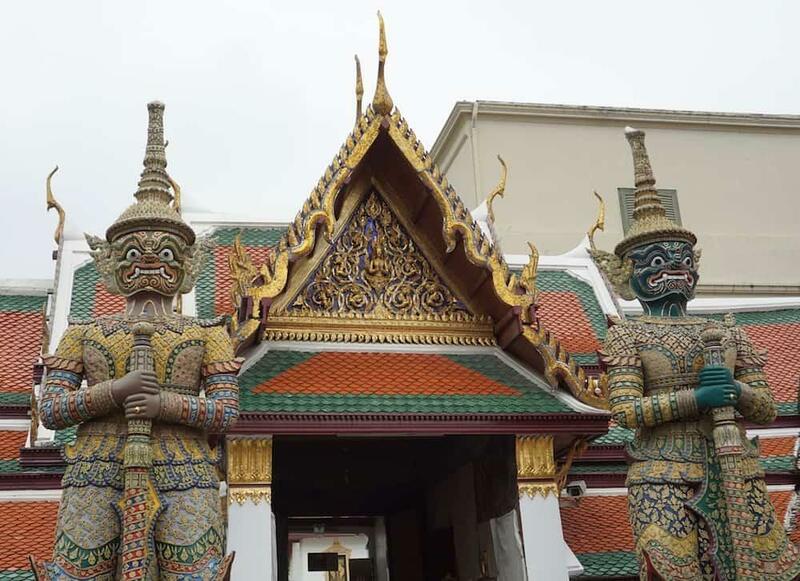 When we first arrived in the centre of Bangkok, I took the photo below from beside the doorway of our apartment at Chetophun Gate. 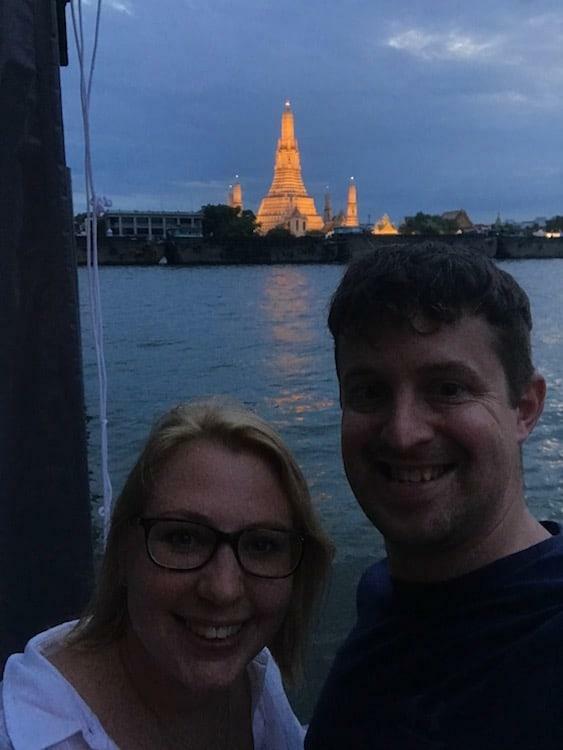 The temple seemed to be radiating light, I knew at some point we had to find a spot to get some proper shots of this beautiful Bangkok sunset. The problem though is finding a location to get a photo. 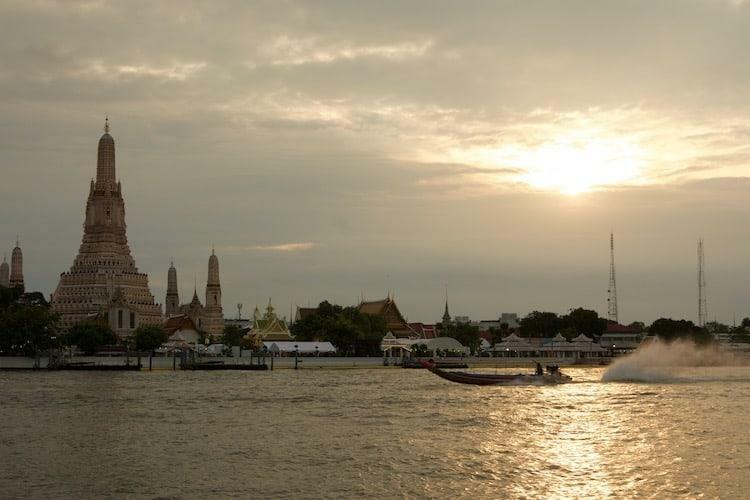 The eastern shore of the Chao Phraya river is filled with housing, making it difficult to get to the banks. And where there is no housing it has been taken over by business due to the prime riverside location. That’s all very well if you want to pay, but what about a free location? It’s fairly easy to find. 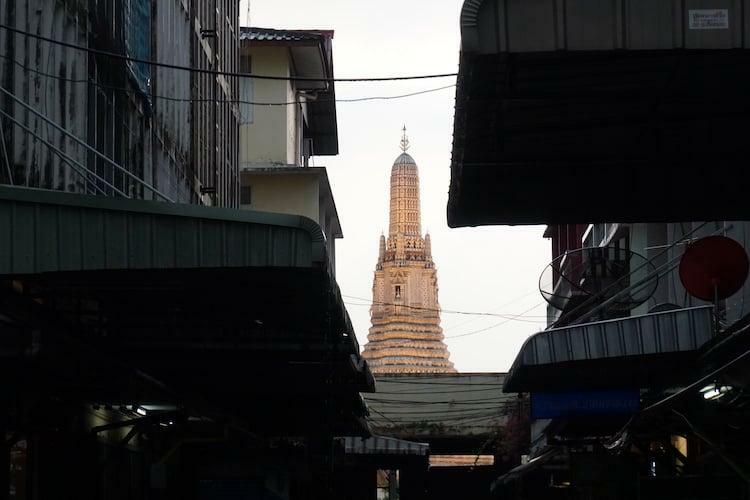 Just behind Wat Pho, you will find a number of alleyways that head down towards the water. Alot of these are blocked off with buildings at the end. If you head down the road opposite the high school, past the ‘Blue Whale Cafe’ you will find a restaurant at the end called ‘Supanniga Eating Room’. Wander past this and you will find a small pier, where you can hang out and watch the sun go down. 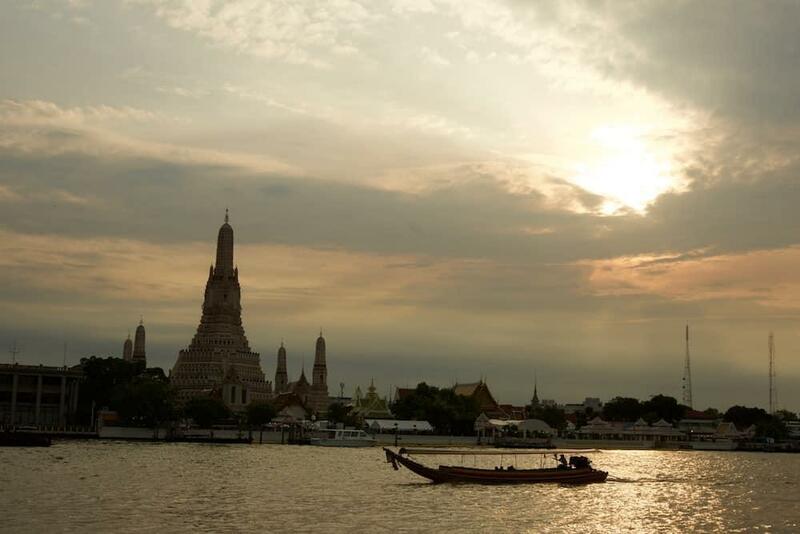 The Best Sunset in Bangkok?